Thanks to iHeartJames on reddit. 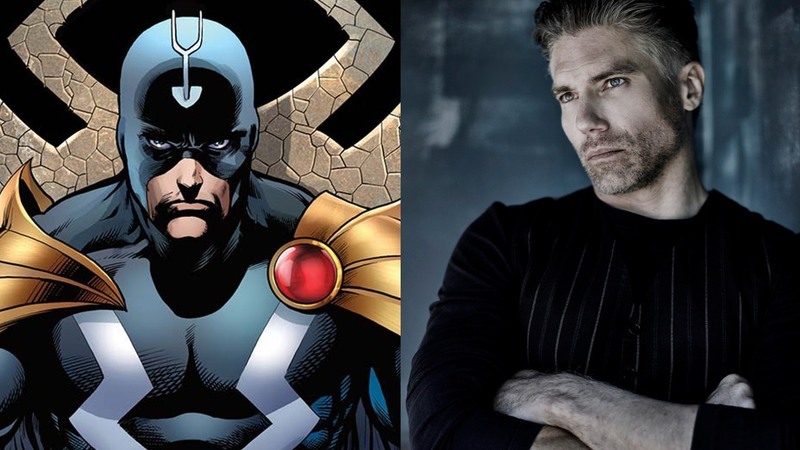 ANSON MOUNT - Black Bolt: the enigmatic, commanding King of the Inhumans, with a voice so powerful that the slightest whisper can destroy a city. SERINDA SWAN - Medusa: Queen of the Inhumans and wife of Black Bolt - his most trusted advisor, a fiercely resilient warrior who has the ability to move and control her hair the way most people use their hands and fingers. KEN LEUNG - Karnak: Black Bolt’s cousin and closest advisor. His gift is an ability to see the fault in all things – people, plans, structures, everything. EME IKWUAKOR - Gorgon: cousin of Black Bolt, member of the royal family, and leader of Attilan’s military. With super strong legs, complete with hooves, he can generate destructive seismic waves with a single stomp. 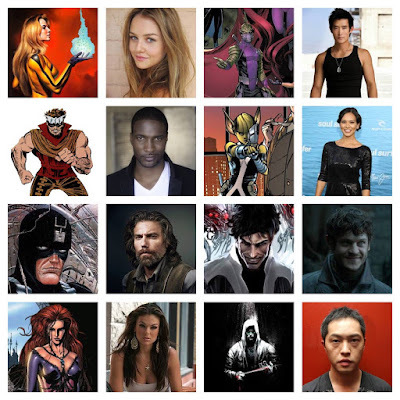 ISABELLE CORNISH - Crystal: Medusa’s (Serinda Swan) sister, youngest member of the royal family and has the ability to control the elements. MIKE MOH - Triton: Black Bolt’s cousin, he’s calm under pressure and supremely athletic. His gift is his fish-like ability to live underwater. SONYA BALMORES - Auran: Head of the Royal Guards on Attilan, a capable and no-nonsense woman. She is fiercely loyal to the King of Attilan. ELLEN WOGLOM - Undisclosed Character: smart, intense, and focused—so focused that oftentimes, social skills take a back seat. Her job at a private aerospace company is her life, second only to her passion for all things space and lunar. She’s primed to be swept up in an adventure. ??? - Lockjaw: Crystal’s 2,000 lb canine companion; he is a two-thousand-pound dog (yes, a dog!) with the ability to teleport.